Check out the Spring/Summer 2013 collection from French menswear line Pierre Balmain — the less expensive, more casual line from Balmain. I think they hit just the right spot with their casual but kinda rock n roll and kinda classic combo. This collection is all that with preppy flair. 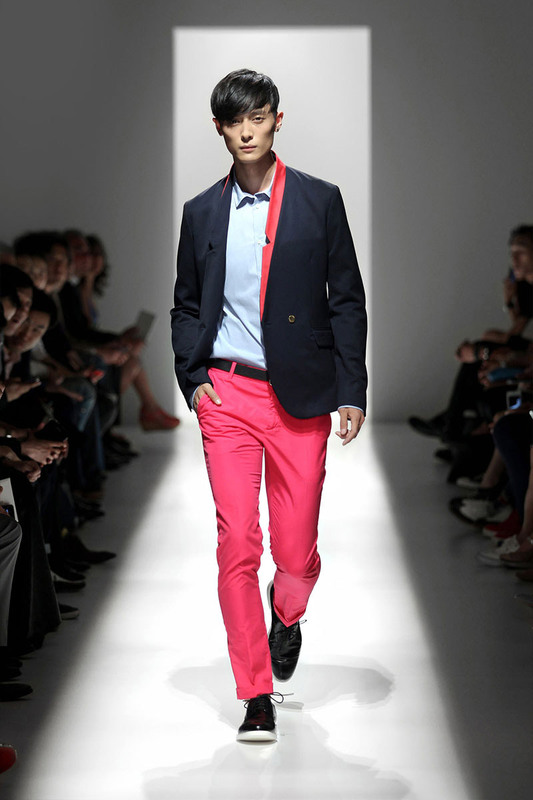 Preppy in color and combinations, but with a modern, slim fit look. Check out the runway shots from Balmain’s S/S 13 collection shown during New York Fashion Week.